→ Camp Takota, starring the holy trinity of YouTube (some of our favorite YouTubers), came out this week. And it was AWESOME. Makes us miss camp a loooot. → The Shatter Me series by Tahareh Mafi. The final installment of this trilogy just came out. Sarah has finished it and Kaitlyn is on her way to being done as well. If you like creatively-written dystopian literature, with an emphasis on the love story, READ THESE! 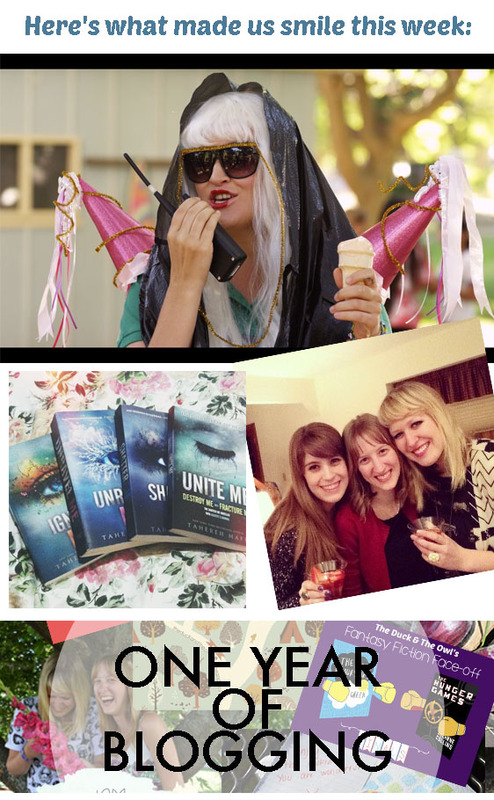 → Last week was our One Year Blogiversary!! We're having a giveaway! Enter here. → There have been a lot of protests these past weeks against Russia's anti-gay propaganda laws including Google, New York Fashion Week and the German uniforms. We're glad that this issue isn't going unaddressed.